Geologic mapping in New England over the last 100+ years has focused on ductile metamorphic stratigraphy, and on the regional-scale ductile structure that can be deduced from these stratigraphic assignments. This has led to the unfortunate under-emphasis of the structures associated with brittle deformation: joints and faults. These brittle bedrock structures have recently taken on new significance due to their effects on ground water and its consequent aquifers, their ability to act as conduits for the escape of hazardous radon gas into basements, and their potential for seismic reactivation or seismically driven displacements. 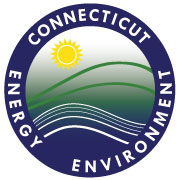 Copyright © 2013-2019 Connecticut Department of Energy & Environmental Protection. All rights reserved.